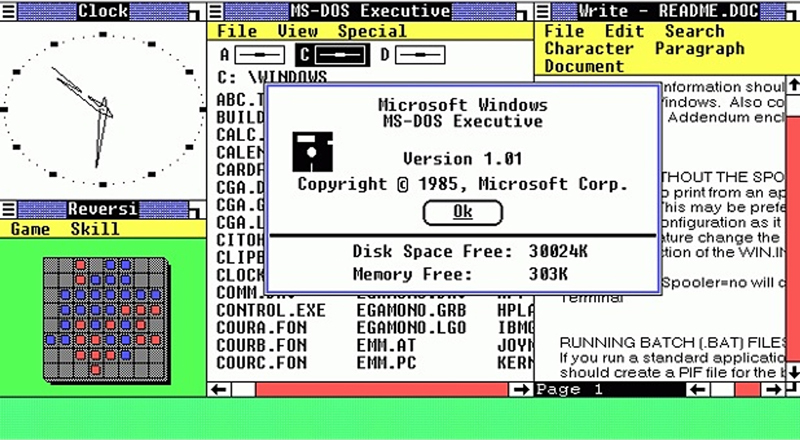 Back in 1985, Windows 1.0 required two floppy disks, 256 kilobytes of memory, and a graphics card. If you wanted to run multiple programs, then you needed a PC with a hard disk and 512 kilobytes of memory. 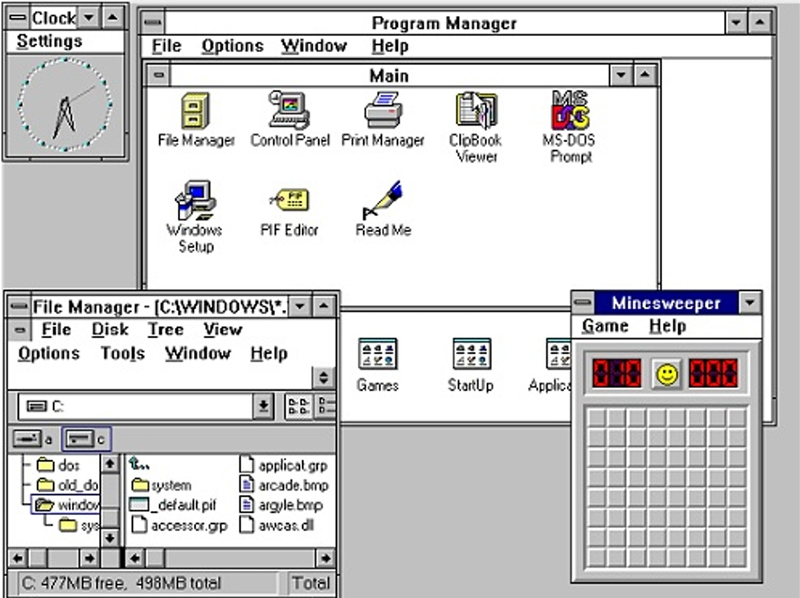 Windows 3.1, which was first sold during April 1992 as a successor to Windows 3.0. Subsequent versions were released between 1992 and 1994 until the series was superseded by Windows 95. 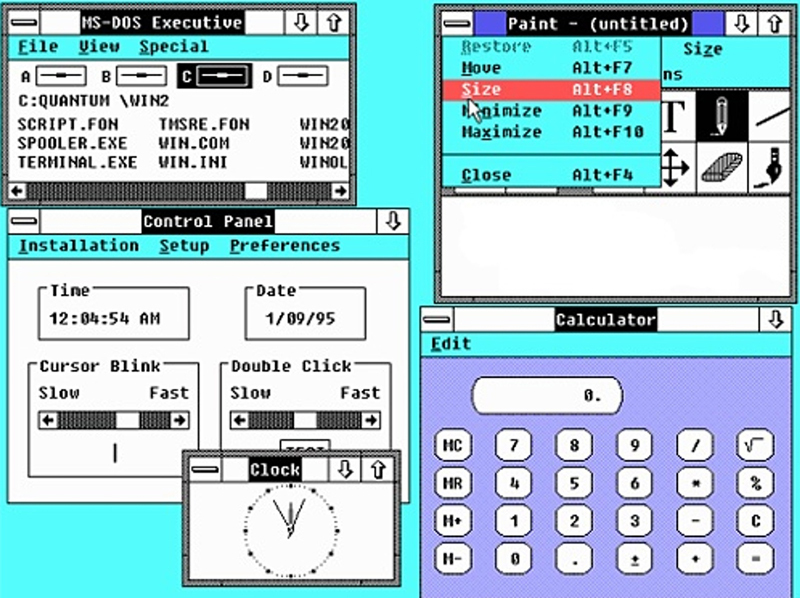 During its lifespan, Windows 3.1 introduced several enhancements to the still MS-DOS-based platform, including improved system stability, expanded support for multimedia, TrueType fonts, and workgroup networking. Windows 95 merged Microsoft’s formerly separate MS-DOS and Windows products. 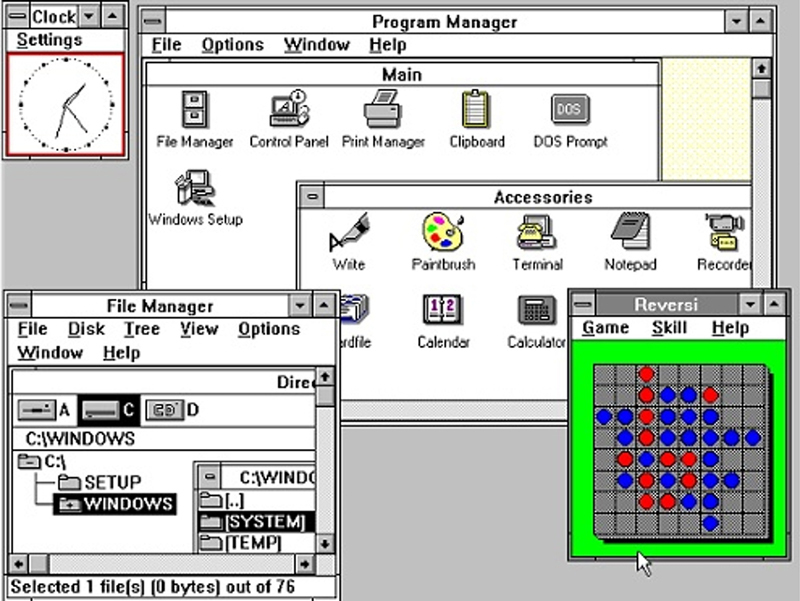 It featured significant improvements over its predecessor, Windows 3.1, most notably in the graphical user interface (GUI) and in its simplified “plug-n-play” features. 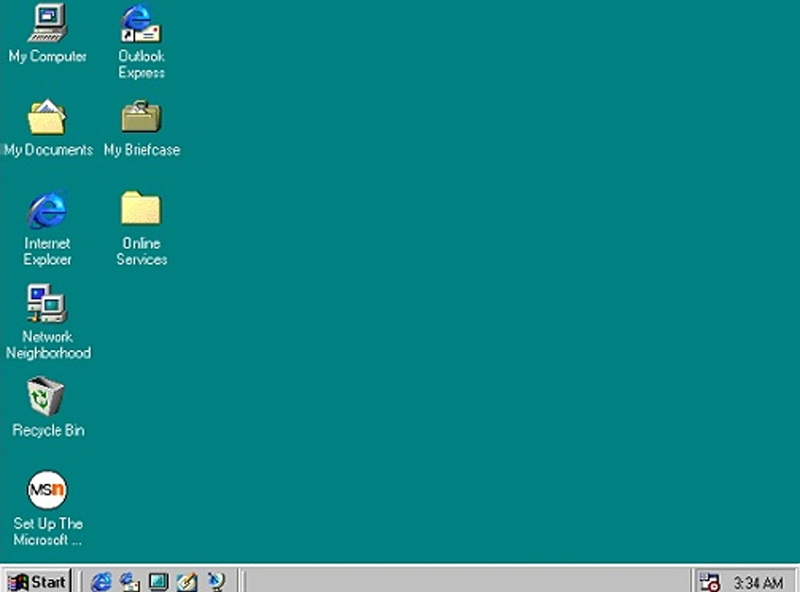 Windows 98 was a graphical operating system by Microsoft. It was the second major release in the Windows 9x line of operating systems and the successor to Windows 95. It was released to manufacturing on May 15, 1998 and to retail on June 25, 1998. Windows 2000 is an operating system for use on both client and server computers. Four editions of Windows 2000 were released: Professional, Server, Advanced Server, and Datacenter Server; the latter was both released to manufacturing and launched months after the other editions. Windows Millennium Edition, or Windows ME, is a graphical operating system from Microsoft released to manufacturing in June 2000, and launched in September 2000. 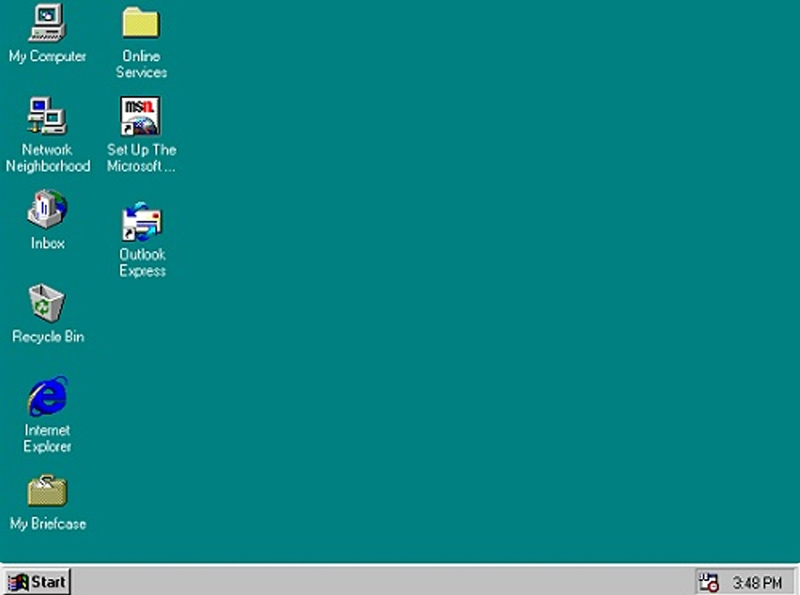 It was the last operating system released in the Windows 9x series. Upon its release Windows XP received generally positive reviews, with critics noting increased performance (especially in comparison to Windows ME), a more intuitive user interface, improved hardware support, and its expanded multimedia capabilities. Despite some initial concerns over the new licensing model and product activation system, Windows XP eventually proved to be popular and widely used. It is estimated that at least 400 million copies of Windows XP were sold globally within its first five years of availability. The release of Windows Vista came more than five years after the introduction of its predecessor,Windows XP, the longest time span between successive releases of Microsoft Windows desktop operating systems. It was succeeded by Windows 7, which was released to manufacturing on 22 July 2009 and released worldwide for retail on 22 October 2009. Windows 7 was primarily intended to be an incremental upgrade to the operating system intending to address Windows Vista’s poor critical reception while maintaining hardware and software compatibility. 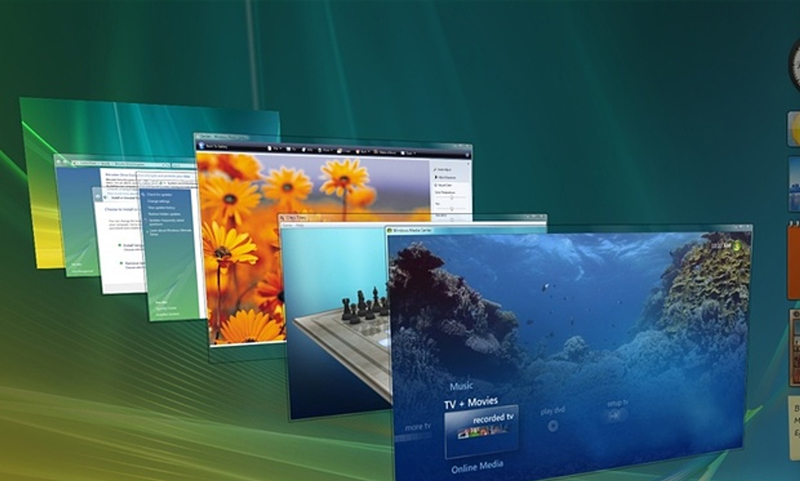 Windows 7 continued improvements on Windows Aero (the user interface introduced in Windows Vista) with the addition of a redesigned taskbar that allows applications to be “pinned” to it, and new window management features. Other new features were added to the operating system, including libraries, the new file sharing system HomeGroup, and support for multitouch input. Windows 8 introduced major changes to the operating system’s platform and user interface to improve its user experience on tablets, where Windows was now competing with mobile operating systems, including Android and iOS. In particular, these changes included a touch-optimized Windows shell based on Microsoft’s “Metro” design language, the Start screen, a new platform for developing apps with an emphasis on touchscreen input, integration with online services, and Windows Store. Released as part of a shift by Microsoft towards regular yearly major updates for its software platforms and services, Windows 8.1 aims to address complaints of Windows 8 users and reviewers on launch. Visible enhancements include an improved Start screen, additional snap views, additional bundled apps, tighter OneDrive (formerly SkyDrive) integration, Internet Explorer 11, a Bing-powered unified search system, restoration of a visible Start button on the taskbar, and the ability to restore the previous behavior of opening the user’s desktop on login instead of the Start screen. Windows 10 introduces what Microsoft described as a “universal” application architecture; expanding on Metro-style apps, these apps can be designed to run across multiple Microsoft product families with nearly identical code—including PCs, tablets, smartphones, embedded systems, Xbox One, Surface Hub and HoloLens.